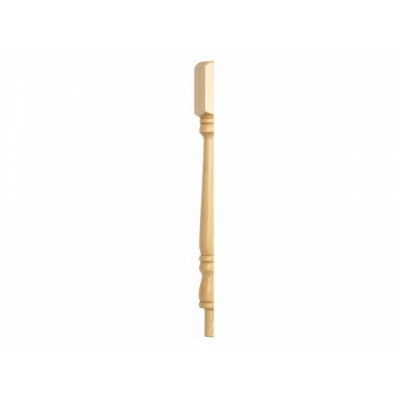 The PST-1 newel is typically used as an opening newel at the bottom of a staircase. Available in a choice of timbers to match the rest of your staircase, and can be finished to suit your preferences. Produced in the traditional and popular Georgian style. Half newel for fixing to a wall.